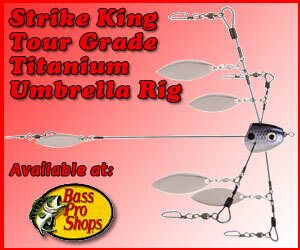 Great Deals on Bass Pro Shops Castable Umbrella Rigs & Accessories! 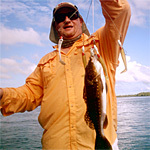 Find great deals on all the castable umbrella rigs, accessories and kits including jigheads and swimbait minnows bodies from Bass Pro Shops and Basspro.com on these pages! Strike King Squadron Umbrella Rig Accessory Kit - Ghost Shad - 1/8 oz. Strike King Squadron Umbrella Rig Accessory Kit - Green Gizzard - 1/8 oz. 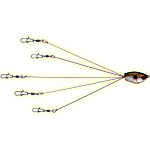 Strike King Squadron Umbrella Rig Accessory Kit - Ghost Shad - 1/4 oz. Please Note: Displayed Prices are subject to change withouth notice. Please click “more info” or product link for final price before making a purchase.